If you or your loved one has eczema, did you ever wonder why you just can’t stop scratching, no matter what cream or lotion you use? Have you tried changing your water filter or switching to allergen-free soaps and detergents, but the itch STILL keeps coming back? As anyone with eczema can testify, one of the biggest problems one has is having to control the itch. While it might sound easy in theory to say “just stop scratching!”, a lot of us can’t help it and it isn’t our fault! I remember spending restless nights, tossing and turning in bed, unable to sleep because of the eczema itch. Eventually I would cave in, and succumb to either scratching or putting on some steroid cream. However, while scratching or putting on cream did give me some temporary fulfillment, I noted that the itch would STILL come back. After a couple of hours I’d be itchy all over again! Does this sound like you? Today, to help you stop scratching once and for all, we’re going to look at the driving force behind the itch you’re experiencing now. 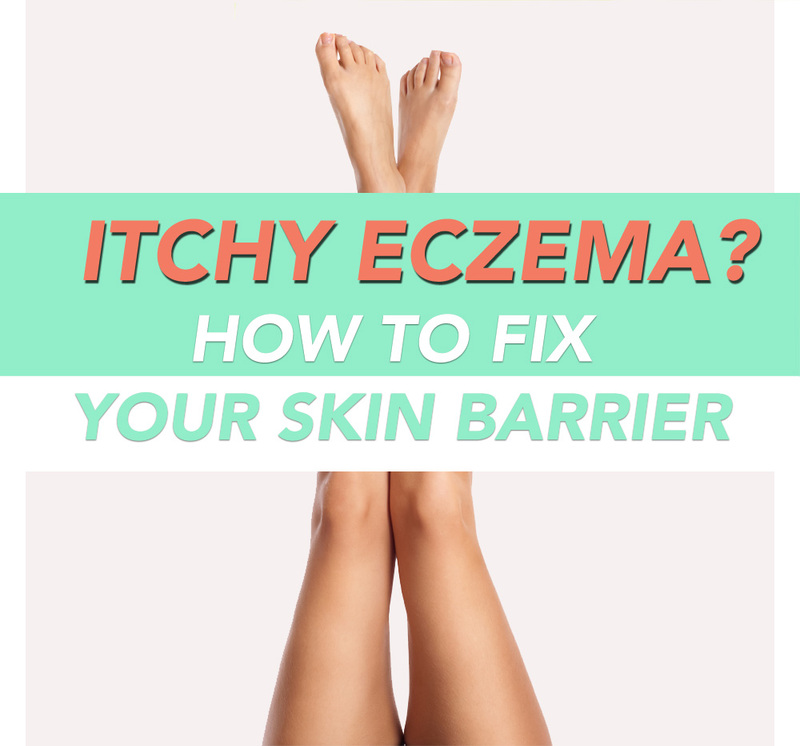 If you ever wondered what makes your eczema itch, and (more importantly) what you can do to stop itching, this article is for you! What drives the eczema itch? Your skin is the body’s largest organ, and one of it’s primary jobs is to act as a filter between you and the outside world. Toxins, bacteria, pathogens, allergens – anything that is potentially harmful to the body is filtered out by the skin. But what if you have eczema? Why is your skin constantly itchy and why is it that you just can’t stop scratching? Let’s take a closer look. When I was younger, I tried to stay away from playing any kind of outdoor games or sports. Not because I didn’t want to, but because I noticed that whenever my skin had a cut or was broken, it would get itchy and took much longer to heal and repair. It wasn’t until years later, that I finally understood why. According to research done on atopic dermatitis patients, one reason why people with eczema are itchy so often, is because they may have a defect in their skin barrier. This defect makes the skin more easily broken, allowing for outside irritants, toxins, and chemicals to penetrate through the layers of skin more easily. To see what this means, take a look at the picture below. On the left, you can see that outside irritants do not irritate normal healthy skin. However, if you have eczema, like the picture on the right, then your skin barrier is broken and outside irritants (like pollen, pollution, chemicals, toxins) penetrate the skin more easily. Research shows that as a result of a faulty skin barrier, outside irritants can penetrate the skin, and reach the inner levels. Because these are not supposed to be there, this immediately activates an immune response in the body! As a result, the immune system reacts by releasing inflammation as well as an itchy little chemical called histamine. Have you ever become itchy after walking through tall grass, or after mistakenly touching some poison ivy? That itchiness you feel is the result of a chemical in your body called histamine – sent to fight against whatever foreign object irritated your skin on the outside. Additionally, the body also sends histamine when the body has to fight a toxin, virus, or allergic reaction. Now histamine, while helpful to fight against outside allergens, does have some side effects when there is TOO MUCH. If you have too much histamine in your body, it can lead to itchy, red, inflamed skin, as well as rashes and hives. It’s because of this that doctors often prescribe anti-histamines to people who just can’t stop itching! As you can see from above, there are multiple factors leading up to itchy skin, but the main cause is an impaired skin barrier that lets in allergens, leading to an itchy histamine release in the skin. These 2 things is what makes it difficult to simply stop scratching! 5 ways to fix your skin and stop the itch! If you’ve been trying to fight off the itch with moisturizers, then you might find that it’s often not enough to stop the chronic itchy feelings. That’s because an impaired skin barrier and excess histamine needs to be addressed from both the outside AND inside. While we might not be able to undo our genetics, there are some things that we can do to improve and build a healthy skin barrier. 1. Be careful with outside irritants. When your skin barrier is impaired, bacteria, outside allergens and irritants can penetrate it more easily, causing itchy skin. Generally, you want to keep your skin in an eczema-safe environment as much as possible, avoiding potential allergens that might penetrate your skin barrier. Thankfully, these irritants aren’t so hard to avoid. Some main ones that have been shown to damage the skin barrier are things like SLS, fragrance, alcohol and benzoyl peroxide. These can strip the skin of its natural moisture, causing cracks on the skin, leading to that allergic-histamine response. If you’re always itching, you might want to look closer into your perfumes, soaps and shampoos, to make sure that you aren’t putting these onto your skin! Look into soaps and shampoos that don’t have these. Did you know that a healthy skin barrier is made up primarily of fatty acids? A study done on lipids (fat) and the skin, showed that a lack of fatty acids can contribute to a broken skin barrier. If you want to lessen the itchiness from the inside out, you may benefit by having more healthy fats in your diet. Specifically, fatty acids like Omega-3 can be extremely beneficial, as they are anti-inflammatory, and help to calm down your skin and soothe itchy skin! Essential fatty acids also help to prevent water loss, which can lead to flaky irritated skin. Personally, I take this cod liver oil supplement daily, and I found that it works wonders for my dry skin. 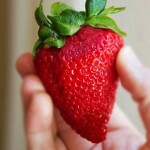 It’s also rich in vitamin A and D — two vitamins needed for healthy skin repair! Do you constantly get red chapped lips, or itchy skin at night? If you have a weakened skin barrier, water loss is more common when the weather is drier (at night), and your skin can become dehydrated more easily. Your face is always one of the first places to show, which is why chapped lips always mean a sign of dehydration. One thing that really made a difference for my skin, was to drink 8 glasses of water daily, especially in the morning when I woke up, and AS SOON as I felt an itch coming. Getting adequate water is extremely important as it makes up for more than 60 percent of your skin barrier! Other ways to build a healthy skin barrier is by eating lots of healthy fats like coconut oil or avocados, as well as collagen and protein. This helps to improve cell membranes, making your skin strong and healthy. If your skin is already feeling itchy, then one helpful approach would be to also avoid histamine itself. As you know by now, histamine is a chemical that is released whenever there is an outside allergen or irritant and it can also be released when the body is chronically inflamed. However, with too much histamine, the body becomes incredibly itchy, leading to rashes, hives, and bumps! While histamine is naturally found in the body, it can also be found in certain foods. Mostly citrus, tomatoes, and some fermented or aged foods. Some people might find that their itchiness becomes less by eliminating certain histamine foods from their diet. For more information, see my article on histamine here. 5. Don’t burn out with inflammation. Finally, did you know that many people’s #1 itchy skin trigger could lie with excess inflammation? Eczema almost always becomes more itchy when you have an excess of inflammation in your gut. Inflammation is not dangerous in small amounts, but Chronic inflammation has been consistently linked to a wide range of diseases. It also one of the main triggers for a lot of eczema problems, as it directly affects the skin barrier in a process called glycation, which makes the skin more red, itchy and dry! With chronic inflammation, not only does your body release MORE histamine, but the skin’s barrier is also negatively impacted — leading to increased water loss, itchy skin, acne, and secondary eczema problems. 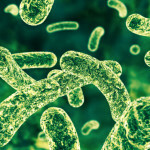 Studies also show that too much inflammation can kill your “good bacteria” and allow bad bacterial pathogens like Candida albicans to overgrow, causing more itchy problems. Yikes! Inflammation causes vary from each person, but top sources that create inflammation, are certain types of chronic stress, some medicines, as well as inflammatory foods in your diet: think processed foods, excess sugar, alcohol, caffeine, yeast products, and processed dairy. 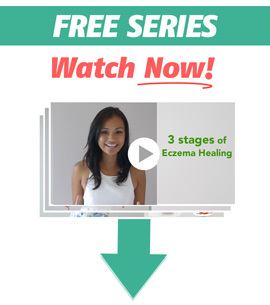 For the majority of people with eczema, simply lessening or removing some of these triggers, to lessen inflammation and improve your gut, can help you start to see improvements in your skin almost immediately! This is what I found worked best for my itchy eczema, and has helped many see progress in their skin. Follow the steps above to help you stop the itch! If you can’t stop scratching, don’t fret! The steps above are what I did to help restore my skin barrier, and stop the scratching that just comes with having eczema. When you have a healthy skin barrier, flaky, dry, itchy skin will no longer be a problem for you. A healthy skin barrier retains water and moisture more easily, looks plumper and fuller, and has a natural shine and luster! If you’ve tried creams and lotions before, and still can’t find a way to stop itching, then I hope this article helps you lessen the itch. Follow the steps above to help you strengthen your skin barrier and fix your skin from the inside out. This is one of the best ways to see long lasting results with your skin and eczema. Yes thank you!! I love your articles so much! I suffer from eczema only on my hands, but it’s awful. I’ve eliminated meat, dairy and processed foods from my diet. However I was still experiencing the eczema. With never ending research I discovered the overwhelmingly positive benefits of fish oil and a complete B vitamin for eczema. It’s been less than 4 days and my hands are completely healed! I totally understand the importance of healthy fats in the diet, but because I’m type 1 Diabetic I eat a diet very low in fats because it’s the best way to manage diabetes. I eat a vegan diet so incorporating fish oils was something I really didn’t want to do, but simply had to try… And I can’t believe how it healed all the eczema. 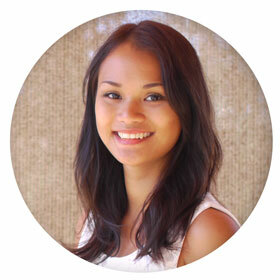 Thanks for your amazing website Christina! Peace and Love to you! Oh yes! I also eliminated gluten from my diet as well. Hi, that’s so great to hear that your eczema cleared after changing your diet! It is certainly the key for a lot of people, myself included. 🙂 Glad to hear that my website could help you, see you around on the site! Yes I have experience several of these things. Your information is extremely helpful. I appreciate all the information you have provided. Thank you so much, I’m glad these eczema tips can help! Hi Hana, thank you for your comment. To answer your question, using no lotions might make your skin more dry and itchy, so I wouldn’t do that. Perhaps you need to get rid of more eczema triggers to lessen inflammation? This is what ultimately helped my skin clear. Great article! Very informative. It’s really nice to read something helpful like this. have you heard much on Coffee doing similar things to the skin as eczema. I haven’t been trouble with eczema for 41 years now it’s suddenly back weird. I previously suffered from eczema form 2008-2011 because of cold Canadian weather. Since then, my eczema was gone until this year. The past couple years I experienced my best skin while still eating gluten, dairy, eggs and the occasional fast food. However this past year I developed eczema again (my face being the most affected) because I became allergic to elidel. After patch testing it was determined that I was allergic to several chemicals. Since then, I have avoided the chemicals for 5 months, as well as all other known irritants/allergens. I have even taken fish oil for 5 months, probiotics for four months and been on a diet that is mostly of alkalizing/anti inflammatory food. My skin has gotten better.. but the skin on my forehead is still reddish making the area look unclear/splotchy. I use the proper facial cleanser (free and clear) and moisturizer (aveeno) but the redness is still their. I have tried using sweet almond oil at night in place of aveeno.